Ann Losee Village - Top of the line washer and dryer included. MLS#2076428. Signature Real Estate Group. Sit on the beautiful upgraded patio & have your morning coffee all while enjoying the partial golf course view. 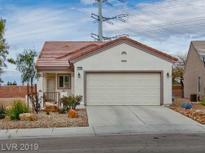 MLS#2075669. Wardley Real Estate. 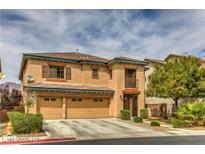 Centennial Park - Gated community in the desired Centennial Hill with playground, barbecue area. 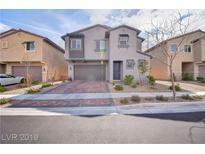 Close to shopping and freeway MLS#2075900. Realty ONE Group, Inc. Roll out shutter under the covered patio for shade.The community offers a clubhouse, pool, spa & exercise room. MLS#2075915. Coldwell Banker Premier. Azure Estates - Buyer is to verify schools, HOA, measurements and utilities. MLS#2057429. Hastings Brokerage Ltd.
Centennial Park - Fresh Paint Throughout, Brand New Kitchen Cabinet, New Granite Countertops with under Mount Sink with Pull Down Faucet, Brand New Stainless Refrigerator, Gas Stove, Microwave and Dishwasher. Must See! MLS#2073233. Jason's Realty. Nelson Ranch - Original owners-Pride of ownership! Don't miss out! MLS#2074845. Urban Nest Realty. Nelson Ranch - please see agent to agent remarks for gate access. 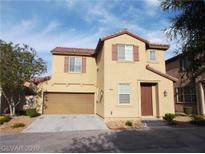 MLS#2074129. LIFE Realty District. Enjoy the retirement life in the Sun City Aliante. MUST SEE... MLS#2073369. Rossum Realty Unlimited. 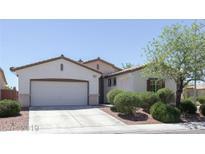 Clayton El Campo Grande - Oversized backyard with easy care desert landscaping and water pond. MLS#2074312. BHGRE Universal. 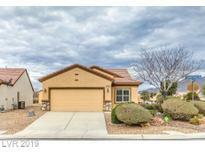 Ann Goldfield - Spacious two-story residence with plenty of room for entertaining* 4 bedrooms and 4 full baths* Formal living area with open vaulted ceilings*Separate Den downstairs *warm and inviting Loft upstairs* Finished backyard with beautiful landscaping including fruit trees* Low HOA* This home will not last! MLS#2073434. Keller Williams Realty SW.
Cheyenne Plateau - Massive easy-care backyard, resort-size kool deck pool area. NO HOA! 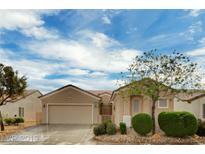 MLS#2074376. Realty ONE Group, Inc. The homeowner never hung any pictures its like a new home!!! Come check it out. MLS#2074436. Keller Williams Market Place. 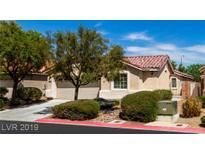 Club Aliante - *2 Story Home In Guard Gated Community W/ Access To Pool, Gym, Park & More*open Floor Plan W/ Vaulted Clngs & Fans*shutters Throughout*tile Flrs*cozy Fireplace*sunny Ktchn W/ Ss Appliances, Breakfast Bar & Backsplash*lrg Mstr Suite W/ French Doors & Sitting Room*soaking Bath, Glass Shwr & Dbl Sinks In Mstr Bathroom W/ Lrg Walk-in Closet*2nd Mstr Is A Plus*jack & Jill Bathroom*cvrd Patio With Fan, Pavers & Low Maintenance Landscaping*3 Car Garage* MLS#2073552. Keller Williams Market Place. Sun City Aliante - Great Size Bedrooms Beautiful Vanity & Tub/Shower Combo. 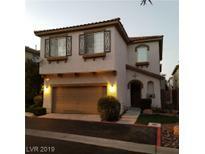 *lease Buyout-30 Day Move-in MLS#2073614. Turn Key Property Solutions. Sun City Aliante - *single Story Home On A Golf Course With Amazing Views*located In Aliante Near Dining, Shopping And Major Transportation Routes*home Features An Open Floor Plan With Ceiling Fans, Shutters & Tile Floors*kitchen Is Sunny With Corian Counters And A Breakfast Bar*rooms Are Spacious An With Over Sized Walk-in Closet In Master Suite*covered Patio In Back With Fan*low Maintenance Landscaping*two Car Garage*age Restricted Community*must See* MLS#2073515. Keller Williams Market Place. Centennial Park - Community park and dog park are part of the HOA. MLS#2072464. Opendoor Brokerage LLC. Centennial Bruce - Separate Laundry Area. Charming Kitchen For Entertainment. MLS#2073202. Re/Max Titans. Centennial And Novak - Don't miss this at this price! MLS#2072422. Keller Williams Realty SW.
Club Aliante - The House Features 5 Beds, 3 3/4 Baths, 3 Car Garage & Almost 3800 Sqft Of Living Area; Kitchen W/ Granite Counter Tops & Stainless Steel Appliances; Family Room W/ Cozy Gas Fireplace; Living Dining Combo; Large Master Suite W/ Large Secondary Bedrooms; Great Inground Pool. MLS#2072081. Realty ONE Group, Inc.
Arbor Gate - All three bathrooms are stunning! Nice sized backyard! MLS#2071946. Real Estate Property Managemen. Beautiful golf view and mountain view. Enjoy retirement life. MUST SEE. 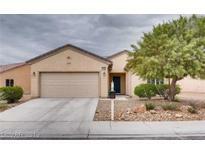 MLS#2068809. Rossum Realty Unlimited. Centennial Bruce - Large back yard can fit a swimming pool of your desire to enjoy the hot summer at home. MLS#2070640. John Griffith Realty. Arroyo Grande - Beautiful 3 Bedrooms 2 Full Bathrooms,Many upgrades,Energy star windows,Security screens,Newer Silestone Kitchen Countertops & Stainless Steel double sink,Newer Whirlpool Stainless Steel Kitchen Package,Replaced a/c Motor,No HOA,Large covered Patio,Easy to Maintain Desert Landscaping. 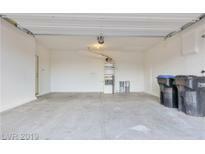 MLS#2070895. Realty ONE Group, Inc.
Centennial Bruce - Gorgeous New Epoxy Garage Floor Coating. MLS#2070659. First Full Service Realty.